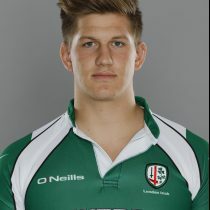 The 21-year-old came the through the London Irish Academy. After he made his debut in November 2014 away to Sale he went on to play a further nine matches for the Exiles and also featured for their A-League and 7's teams. He is a tough, uncompromising player who has shown great leadership qualities for someone who is still young. Ealing Trailfinders announced the signing of Currie from Rotherham for the 2017/18 season. Second-row Currie played his rugby with the Titans for the 2016/17 season prior to his movie, scoring one try in 19 appearances for the South Yorkshire side. He played in both matches between the Titans and Ealing Trailfinders in the campaign. In April 2018, the lock left Trailfinders and signed a deal with Bedford Blues.